Whether you want to save money, protect the environment, or provide future energy generation for your business, we are experts in commercial installations onboard solar panels for more several companies in Southern California, from small to medium-sized businesses to large enterprises iconic new-builds. 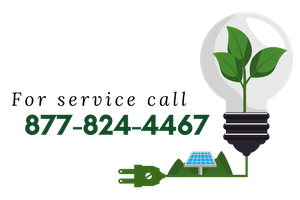 Solar panels support your business save money by generating free green electricity for on-site use, reducing demand for electricity consumption throughout the day and saving thousands of dollars every year on your energy bills. Creating your own electricity from solar energy reduces carbon emissions and can compensate for most, if not all, emissions of carbon dioxide companies. With climate change the main concern at this moment, Green Initiatives are a popular strategy for the company to gain a competitive edge in its industry and strengthen its supply chain and customer relationships. We have always focused on the installation of solar panels on commercial roofs, which allows us to become experts in our area, while others have solved their experience with solar installation on the ground and are now forced to return to the market due to the reduction of state subsidies to solar plants; Nobody knows solar energy in an umbrella commercial environment like us. The alarming reality is that the grid is currently struggling to generate significant amounts of electricity to meet the increasing demands of the USA. The cost of your business outside the grid should be taken into account when installing a solar panel that will keep you in reserve in case it happens unthinkable. The government has already set up compulsory energy audits of large companies through a mandatory energy saving regime, which indicates that it could also regulate the use of energy in the future of the grid. Sunshine Solar, Inc. is developing solutions that help companies reduce energy costs and ensure that critical systems remain online in emergencies. Our competitive price of solar PPA can reduce your standard energy costs compared to what your service currently charges. In addition, our SolarLine DemandLogic PV storage system can further reduce your costs by reducing your maximum energy consumption during the day when utilities charge a higher rate for your energy. And our GridLogic solutions can provide the full power of backup power for critical functions in case of power failure. Did you know that solar installation increases the value of your home? Because solar is in such high demand in this day and age, a potential buyer would be more interested in buying a home that already has it installed, so that they do not have to do it themselves. This way, if you already have it, your home can be priced higher than it would without it. So, in the long run, if you decide to sell, you may not be losing out on money. Sunshine Solar, Inc. is a full-service company that takes care of everything you need to get done in a solar project. With the constant increase in energy costs in the USA, it is time to prepare your home for the future. Solar energy is sufficient and costs less than regular electricity. Get started on the road to energy self-sufficiency today. Your solar experience is our priority. We bring local approaches backed by decades of knowledge and experience, and we are proud to act as a provider of solar services in the community. ©2018 Sunshine Solar, Inc. || All Rights Reserved. || +1 877-824-4467 || Developed with <3 by Click Web Marketing Inc.